This card is awesome. The design, the play of colours and neutrals...very cool. What I love even more are the little details that make it specific to your grandson. What a wonderful keepsake to stay in touch with a lovely celebration. Your grandson sounds like a remarkable young man. 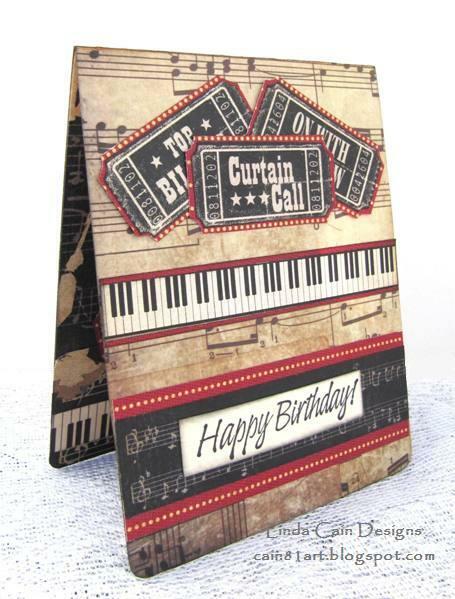 Loving your fabulous music inspired card and am sure your grandson will adore it, so perfect for him. Thank you for showing the photograph of the theatre it looks amazing. What a fitting card for Alex! Gorgeous! Love the card and the story behind it! Happy Birthday to Alex. What a fabulous card Linda! I hope Alex has a Happy day! Wow, your grandson is awesome, you must be so proud of his talent! I have a daughter the same age!! lol Your card is perfect and I love the style. I really love the inside of it and I bet he will cherish this one! Love me some pop n cuts! And, add your talent, and this is absolutely fantastic! Nice non picture, too! lol. Love, love, love "Curtain Call," Linda--and, here, I love what your have done with it. Such a creative card! Such a fun story to go with it! 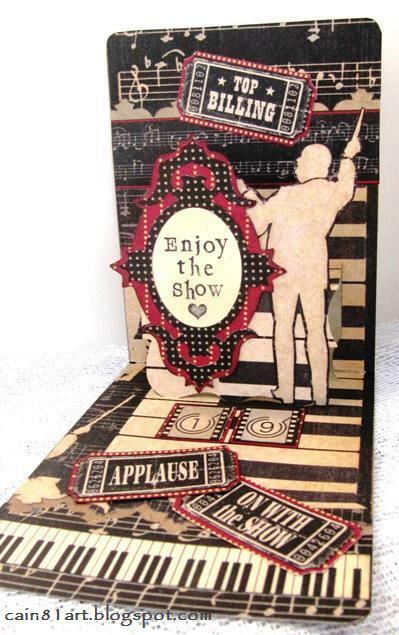 Love this card...FUN, and the paper are perfect for a music lover! I love music and musicals too. 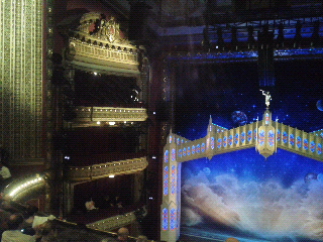 I haven't seen Book of Mormon, wondered about it though. Awesome card. Wish you were my Grandma! Alex is lucky to have such a wonderfully creative, loving Grandma like you! My music loving and trumpet playing son's 19th birthday is this month also. His birthday request is to see Winton Marsalis next week which we have tickets to see. I think I may have to attempt to CASE your incredible and imaginative card. Thanks so much for sharing this! Fabulous use of the papers to create a celebration of a wonderful evening!